Earlier today I wrote about the FOX News piece on patent reform last night on the 6pm news show Special Report. What was shown during Special Report seems to have been a condensed version of a longer (4:27) piece from earlier in the day. While I’m sure everyone will find something to disagree with and argue about, it does strike me as pretty fair treatment of the issues and arguments of the parties for and against patent reform. 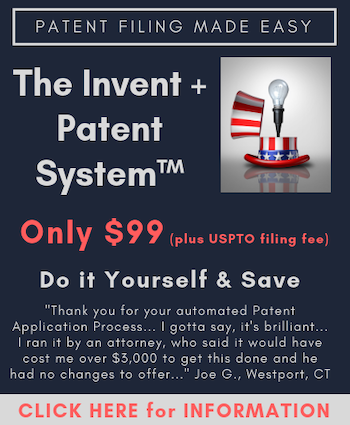 As the video explains, the argument is being made that those who learn of an invention from an inventor can simply race to the Patent Office and beat the inventor and obtain the patent. If you read the bill that criticism is not grounded in truth, and in fact is exactly wrong, but there are those making that argument. So the fact that what is said at that point in the tape is wrong doesn’t make it bad news reporting. Sadly there is just that level of failure to appreciate the issues that is running rampant. It has also come to my attention that various of the usual conspiracy theorists in the industry are actually challenging what I wrote recently when I explained that the United States already has a de facto first to file system. It is almost hard to believe that anyone who has looked at the data and seriously considered the issue could come to any other conclusion, yet there are some of high regard who seem content to pretend that my statement is incorrect, or even a myth. This information relates to fiscal years, so covers data since October 1, 2004 (i.e., the start of fiscal year 2005) and runs through about 1 week ago for 2011. During this period of time there have been a total of 2,914,329 patent applications filed and grand total of 502 Interferences, which corresponds to an Interference in .01722% of cases. The Junior Party is the party who filed second and is claiming to be the first to invent, and they have prevailed 113 times, which corresponds to the second to file prevailing in .00387% of patent applications filed since October 1, 2004. To do the math, that would mean that we have 99.99613% of a first to file system already. Said another way, in 99.99613% of cases the outcome would be identical if we had a first to file system. Folks, there is no myth here. We have a de facto first to file system and those who take issue with that reality must either be ignorant to the facts or have an agenda. Wrapped up in the first to file provisions of S. 23 are also changes to the grace period. As I have repeatedly explained over and over again for the past several years, there is nothing to fear about a first to file system (see above) AND there is no reason that a first to file system must be linked with changes to the grace period enjoyed by innovators. It seems those that would prefer to marginalize my factually correct statement about a de facto first to file statement conveniently ignore my complete views. Those who mischaracterize the truth seem to have an unhealthy and unnatural emotional attachment to a first to invent system that simply doesn’t exist, at least 99.99613% of the time. With respect to the grace period, it is foolish for anyone to rely too much on a grace period today and think they are safe. We all know the grace period is not absolute, but the commonly held belief is that it is absolute in all cases. The fact that the grace period today is less than what popular misconception believes doesn’t mean it shouldn’t exist in robust form moving forward. Those who understand the pro and con of the grace period can and do make important, eyes-wide-open decisions that relate to a host of legitimate concerns, including finances. In the United States innovators are allowed to publicly demonstrate an invention, sell it or even publish information about it for up to 12 months before they file a patent application. If you don’t first file a patent application before such activities you give up the ability to obtain a patent outside the U.S., but not in the U.S. The rub, however, is that third parties can create a publication, sale or public use event that you don’t know about and start that 12 month clock running, so every patent attorney and patent agent knows that you are safer to never assume you have 12 months because events unknown to you can and do compromise the current 12 month grace period. This reality, however, doesn’t mean we shouldn’t have a grace period. S. 23 still provides a grace period for inventor activities, and the horror tale told in the FOX News piece above about someone stealing your invention and beating you to the Patent Office is simply not possible, although they did correctly explain some make that argument. The proposed 102(b) in S. 23 would prevent stealing and winning the race to the Patent Office, but the grace period is lessened with respect to third party activities, and specifically what “disclosures” would create a grace period are unclear. I think folks are correct to worry about what the Federal Circuit will rule if proposed 102(b) becomes law because over time their decisions have grown less predictable, not more predictable. I personally think patent reform will be a net positive if the Patent Office gets fee setting authority (which is in Section 9 of S. 23) and there is an end to fee diversion (will need an amendment to accomplish this, but should be offered by Senator Coburn). Some people I respect enormously disagree. What I would say to you is this: as you formulate your position just make sure you are armed with truth rather than the misrepresentations that swirl about. We do have a de facto first to file system, that is not a myth. There is no great government conspiracy, but there is legitimate room for disagreement on more than one point. But we should all agree that a fully funded Patent Office is absolutely a positive because it will work to ultimately decrease the pendency backlog, streamline the patent process and foster the creation of jobs. No one wins if technologies have to stay pending at the Patent Office past their useful life. That creates no jobs, just a drain of resources that could be better spent elsewhere. An overall balanced treatment of an obviously important “esoteric to most” story. Pretty good job for the “lay” media; who usually doesn’t understand and/or gets it wrong the rare times they even bother reporting on IP. Thankfully the one commentator made it clear the PTO is self-funded, and is not part of the gov deficit problem. Would have been nice if they’d explained that fee diversion isn’t just millions, but 100’s of millions stolen from the PTO (all of us/our clients). Thanks for finding and posting the video Gene. I agree. I thought it was a surprisingly good job for the lay media, particularly given attention spans and time constraints. Great article Gene – the stats don’t lie. Gene, would the patent office close if there is a government shutdown? I have been told that the PTO remained open during the shutdown of 1995-96, but, due to the manner in which funds are “appropriated” back to the patent office, any shutdown this time around would cause the patent office to close. Thanks. I am concerned that thousands of currently used start-up bootstrapping activities … are not allowed under the proposed patent reform. a)	Discussions with potential investors; angel investors; venture capital. b)	Testing market potential or pricing. c)	Showing printed marketing materials. d)	Confidential discussions/meetings in a corner of a restaurant, coffee shop, etc. e)	Using design software/tools that are shared with others in the public (school, etc). f)	Prototyping with equipment at a shared tools workshop, school/course workshop, hobby make-it store, shared fabrication-shop, etc. g)	Showing prototypes/demos to others or potential customers. Assume concept is hidden inside the device. Assume concept is partially or totally knowable (by only one skilled in the art; or by all). h)	Testing of prototypes in public. Outside; on a road; in the air; on a lake; etc. i)	An unknown third party is inadvertently exposed to an invention during demo/test … and then, without the inventor’s knowledge or approval, discloses the concept on the Internet (email, blog, twitter, YouTube, video, social media, etc.). j)	A third-party cell-phone camera; traffic cameras; etc … happen to capture a demo/test. k)	Information is overheard/lost/stolen and later distributed on the Internet by an unknown third-party. l)	Offer-for-sale to test the demand for product. m)	Taking advance orders to fund the business. n)	Publication/electronic-distribution (e.g, marketing) to generate interest. o)	Fraudulent, accident or unintentional violations of Non-Disclosure Agreements (NDA). p)	Foolish public disclosures by an inexperienced inventor or their partners. q)	If Grace-Period is eliminated: Disclosure by inventors that don’t “hear” of the change. [As I understand it] Under current law (1 year grace period) … it’s possible to do all these bootstrap activities (before filing a patent application) and still get patent(s). As I understand the proposed reforms … if any of these bootstrap activities were done before filing for a patent application [without having Non-Disclosure Agreements (that were honored) with every party exposed to the invention] … no patent. … And under the proposed reforms, any issued patent(s) would be invalid … if it was later determined that any of these bootstrapping activities occurred. [As I understand it] Under the proposed reform, issued patent(s) are now under continual risk of invalidation … by a disclosure, without the inventor’s knowledge or approval by some unknown third-party occurred at some unknown time in the past. Due to smart-devices and the Internet, the possibility of disclosure, without the inventor’s knowledge or approval by some unknown third-party … is continually increasing. Everyone is a potential accidental publisher … of a patent killing disclosure. I am very concerned that the patent reform … will kill-off much start-up bootstrapping. The Senate continued debate Tuesday on The America Invents Act, a patent reform act introduced by Judiciary chairman Sen. Patrick Leahy (D-Vt.). The bill, which proposes an overhaul to the way the patent system works, would change to a first inventor to file system rather than its current first-to-invent system. Inventor0875 hit the nail on the head !!! The word “harmonization” is a nice sound byte and a complete LIE. Europe does NOT have an on-sale bar. Under US law, even an offer for sale under NDA is an on-sale bar. The quid-pro-quo for that is the one year grace. In Europe, if a public use is non-enabling (i.e. the invention is part of the ‘guts’ of the machine and even a skilled artisan could not figure it out), this does not kill novetly. In the USA, any non-experimental public use even if 100% non-enabling kills novelty. They are leaving the ‘strict parts’ of US law in (and NOT ‘harmonizing’) while taking away the one year grace period which makes the ‘stricter parts’ livable. And it gets WORSE – Europe does NOT have Inequitable conduct and in Europe, patent litigation is much simpler without thorough Discovery during trial. Under the new system, an inventor would need to IDS all of these things (he does today, but typically the one year grace period allows enough time to properly flesh out the details in a proper application). SO WHERE ARE THE PROPONENTS OF “HARMONIZATION”? Why are they not removing ‘on-sale’ from 102 in order to “harmonize”??? Why are they not removing non-enabling public use in order to “harmonize” ??? If they want ‘harmonization’ and ‘streamlining’ so why does the US get to keep its onerous inequitable conduct rule while the rest of the world does not have them?? Why is THIS not harmonized?? Why are only anti-inventor aspects of the ‘harmonized’ while the more pro-inventor aspects of EPO law are NOT ‘harmonized’??? Many opponents of the bill talk about how ‘harmonization’ downgrades the US patent system to a level of Europe or Japan – whether they are right or wrong, the issue is that THIS BILL DOES NOT HARMONIZE !!!! It does NOTHING to bring the US system closer to the rest of the world. The word “HARMONIZATION” is a nice sound byte – it is a complete LIE to use assert that S.23 ‘harmonizes.’ A COMPLETE LIE. Europe does NOT have an on-sale bar. Under US law, even an offer for sale under NDA is an on-sale bar. This is reasonable because of the one year grace. In Europe, if a public use is non-enabling (i.e. the invention is part of the ‘guts’ of the machine and even a skilled artisan could not figure it out), this does not kill novetly. In the USA, any non-experimental public use within the USA even if 100% non-enabling kills novelty. S.23 maintains these ‘strict parts’ of US law while taking away the one year grace period. If this horrible bill passes, it would deny inventors opportunities to patent inventions that would be patentable even in Europe, Japan, etc This is NOT harmonizing. And it gets WORSE – Europe does NOT have Inequitable conduct and in Europe, patent litigation is much simpler without thorough Discovery during trial. Under the new system, an inventor would need to IDS all of these things (he does today, but typically the one year grace period allows enough time to properly flesh out the details in a proper application). Hey inventor – did you discuss an earlier version of the inventor with your cousin 2 weeks before filing ?? You better IDS it. SO WHERE ARE THE PROPONENTS OF “HARMONIZATION” NOW? Why are they not removing ‘on-sale’ from 102 in order to “harmonize”??? Why are they not removing non-enabling public use in order to “harmonize” ??? I’m not sure. It looks like a shutdown has been averted for at least another 2 weeks. I personally doubt there will be a shutdown, but I will try and find out whether the PTO would stay open or close. I think if Patent Reform passes and the PTO can set fees and there is an end to fee diversion than the PTO should be able to stay open using the money in to fund the agency. Even without an end to fee diversion since the PTO fees collected are greater than the current cost of running on a day-to-day basis I would think they should stay open. I think there is still an underlying rationale to the first to invent system that has not been fully addressed. I believe that the original justification was that there is really something special about being the first “in time” to invent something. This might not be the best example, but take the invention of calculus. We know Newton invented it first, and Leibniz invented it independently, but later in time. If anyone is going to have the right to exclude the public from using it for 20 years (and profit from it), it should be Newton. There just seems something wrong about letting Leibniz have the right to exclude and profit from it, when it was really Newton who first invented it. I think this is also reflected in the fact that history has always acclaimed Newton as the true inventor of calclus, and Leibniz has been largely relegated to a footnote. Just an update to what has happened on the Senate floor as of last night, it appears as if the Coburn amendment to end fee diversion passed, which is a great relief to me as I have a patent pending. Senator Hatch actually even mentioned the $800 Billion that Congress has taken out of the PTO, and even called it obscene. I think the Feinstein-Risch amendment to remove the FTF portion of the bill will be coming up in the next few hours. I think the importance of first to invent is amplified in areas that are evolving rapidly. As others have pointed out, the evidence is not so much interference proceedings, but swearing back. I haven’t looked at the statistics, but swearing back of a reference seems to be fairly common in e commerce and mobile app technologies. I agree with your argument. I just have one nagging question; if we already have a de facto first to file system, then why would the PTO risk adding it to the America Invents Act, and jeopardize the bill? Why not just stick with the first to invent system? Are interference proceedings really that expensive that the PTO feels it necessary to get rid of them?